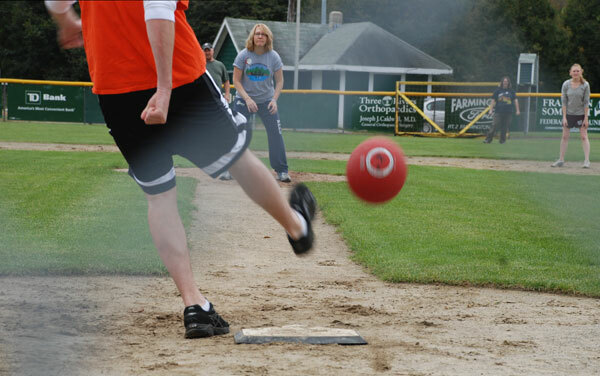 Farmington Police Officer Ted Neil kicks the ball as pitcher Merrilee Rohman readies for a catch during a fun Kick-it fund raiser on Saturday. FARMINGTON - In overtime, the police may have won the game, but the real winner is the cause they were playing for. After the first local Kick-It fundraiser for pediatric cancer research on Saturday, organizer Jennifer Chretien of Farmington said she was "really excited" when she found that the donations that came in during the kick ball game totaled $860. She added there will be more donations coming in from supporters who didn't get to attend the game that she has yet to tally. That money raised playing kickball will be matched by NASCAR's Jeff Gordon to double the funding total. Kick-It was founded by a 10-year-old cancer patient with a dream of curing cancer by playing kickball. Now a national fundraising program, Kick-it raises money for pediatric, adolescent and young adult cancer research. The Jeff Gordon Children's Foundation became involved with Kick-It and pledged to match money raised during this month. The good-natured game played at Hippach Field on Saturday was a team Police Chief Jack Peck put together versus Chretien's team. The game was tied at the end of five innings and then went into extra innings with the officers squeaking by with a 3-2 win. "I was so pleased that the police department stepped in to put a team together for this," Chretien said. "It was really nice of them to help us." 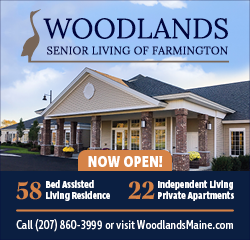 She also wants to thank the University Credit Union for its donation of the kick balls used for the game and Hannaford for the water and ice for the players. Playing on the Farmington Police Department team were: Peck, Det. Marc Bowering, his son, Joe; Officer Michael Raymond, Officer Mary Hastings, Sgt. Ed Hastings, Officer Bridgette Gilbert, Officer Darin Gilbert, Jeff and Rachel Heseltine, Maverick Real and Beckie Souther. The civilian team consisted of Desiree Cowett, David, Daniel and Jocelyn Plog, Rhonda Kinney, Lucinda LeClair, Merrilee Rohman and Chretien. "Everybody had a good time," Chretien said, "and I hope to do it again next year." Donations can continue to be made directly from the local event page on the Kick-It website here. Sgt. 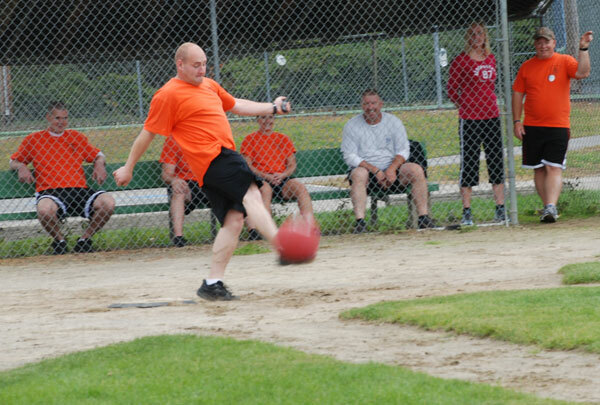 Ed Hastings makes contact to launch the ball in the Kick-it fund raiser held Saturday at Hippach Field in Farmington. In overtime, the police department team won the game, with more than $800 raised for pediatric cancer research. Looks like a lot of fun for a great cause; do I see a tournament in the future? I would love to organize a tournament next year. This was my first time doing something like this so I wanted to keep it simple. It was great fun and I hope it can become an annual event. Thanks to everyone who helped make this event a success; all the players, those who donated, helped set up, and those who came to watch. I have talked to Kick-It and the Jeff Gordon Children's Foundation and they are very grateful for all we accomplished. THANK-YOU!! What a fun time everyone had. Anyone who has had someone in their family with cancer make a difference by spreading the word so that next year's event can be much bigger and raise so much more than this year's goal. It would be great to see the financial goal doubled next year. As well as the number of players at least doubled. Just think of the fun it would be to have enough teams to host a round robin tournament. Thanks Jen for all you have done to make the first year a success! Thanks Rhonda, it was fun. Thanks for playing and I'm looking forward to next year too.